This property protects the water resources of the Withlacoochee River, the Tsala Apopka Chain of Lakes and the Floridan Aquifer. This wilderness tract offers 30 miles of trails, plus oak hammocks, river frontage, marshes, pine flatwoods and improved pasture. Plan on hiking at least several miles (portions of some trails may be wet, bring appropriate footwear), and pack water, sun protection and insect repellent. The diversity of birdlife is tremendous, and the River Trail is particularly good. Swallow-tailed Kites, Limpkins and Wood Storks have been seen here, as have numerous other wading birds and Wood Ducks. Listen for the calls of Eastern Whip-poor-wills in winter, Chuck-will’s-widows in summer, and Barred Owls and Pileated Woodpeckers year round. Songbirds like Tennessee and Chestnut-sided Warblers drop in during migration. 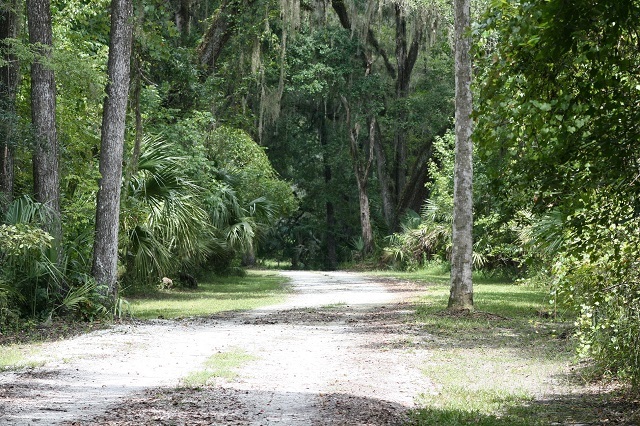 The preserve is home to five or six families of Florida Scrub-Jays; check at the N. Dee River Rd. gate for recent sightings. Dragonfly viewers have seen Blue Corporal, Eastern Pondhawk, Little Blue Dragonlet and Ornate Pennant at this location. Seasonal hunting takes place in this area, please click here for more details.